Extend your tour by visiting the Eternal City of Rome! Learn more by visiting our extensions tab. 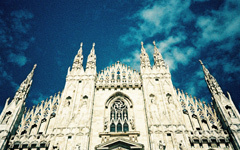 Extend your tour by visiting the fashionable city of Milan! Learn more by visiting our extensions tab. 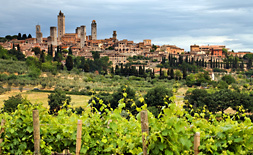 Round-trip international airfare from New York JFK Airport to Italy. An optional visit to the town of Pisa to see the famous Leaning Tower. 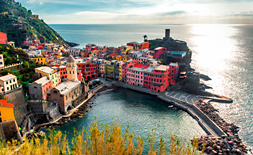 An optional tour of the famous Cinque Terre including train ride! 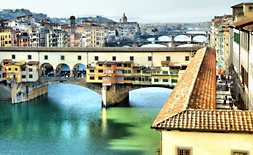 A leisurely walking tour of the city of Florence with a professional guide. 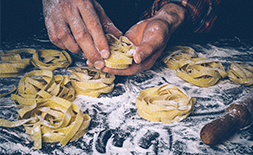 A Tuscan Cooking Lesson with our Italian chef, including a five course Tuscan farmhouse lunch, complete with a variety of wines and limoncello. 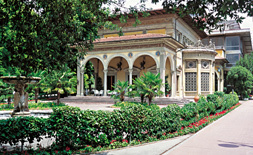 A leisurely walking tour of Montecatini Terme. An opportunity to purchase Italian wines, balsamic vinegar and other Italian food items at special discounted costs. Shopping opportunities in bustling markets in Florence. A visit to an Italian Mosaic Studio to see master artisans. Painting/Fabric designing workshop with Master Artist. Visiting the small hillside town of Montecatini Alto. A optional tour to the own of Vinci to see the museum of Leonardo followed by a visit to an Italian chocolate shop. A visit to an Italian leather workshop and school. A special evening presentation of Destination Craft with Jim West - Tuscany episode. A visit to the Florence American Cemetery & Memorial. A visit to the enchanting city of Lucca. Cost of this optional tour is $33 per person. Cost of this optional tour is $48 per person. The birthplace of Renaissance polymath Leonardo da Vinci lies just outside of Vinci. Some of the main sites in Vinci that attract tourists are the Museo Leonardiano, museum of Leonardo da Vinci. 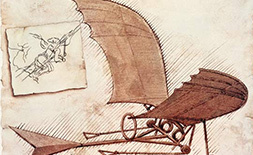 This museum has displays of some of the inventions that are drawn in da Vinci's notebooks. Casa Natale di Leonardo, the birthplace of Leonardo da Vinci. It is a farmhouse. There are some reproductions of his drawings at the house and the Church of Santa Croce, built in the 13th century but later remade in neo-Renaissance style. Flight from United States to Italy. All taxes and round trip transfers to and from the hotel. First class hotel accommodation for two nights. Panoramic tour of Rome and a Vatican tour. 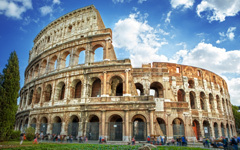 The cost of this optional Rome package is $849.00 per person based on double occupancy. Panoramic tour of Milan, a visit to the Auriful Thread Factory, and to the Pino Grasso Embroidery Studio. 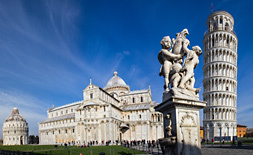 The cost of this optional Milan package is $849.00 per person based on double occupancy.